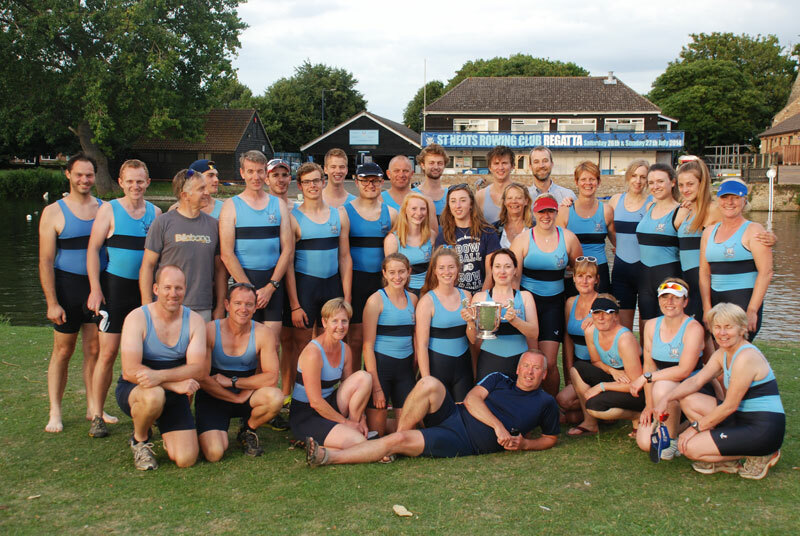 Training for competitive rowing is believed to have started in St Neots in 1865 with the first recorded open regatta held on August Bank Holiday in 1874. They were very successful and popular events and continued annually until 1882. If you’d like to know more visit the history section. We are one of the most successful clubs in the country for producing junior international rowers. The Club has provided a member of the Great Britain squad for the World Junior Championships ten times – winning two gold medals and two bronze medals. In 2010, Bethany Astell and Philippa Neill both won a gold medal in the Women’s Eight at the World Junior Championships, taking the club’s count of world champions to three. The Club’s first ever world champion, Jacqui Round, came about when she won gold in the Women’s Eight at the World Under-23 Championships in 2009. Jacqui had competed at another two World Under-23 Championships prior to her victory in 2009, winning a bronze medal in 2008. Jacqui also won two gold medals at the Youth Olympics. This feat was repeated a couple of years later by Jo Fitzsimons at the same venue. On top of this, St Neots have provided eleven rowers for the Great Britain squad in the annual GB vs France J16 Match, and 21 rowers for crews in the Home Countries International, including five winning gold medals in 2009. We have a well-stocked boathouse of Janousek, filippi and Burgashell boats of all classes and take an active part in Project Oarsome which has funded a number of boats and are for the use by all members. Our newly-refurbished gym is well stocked with weights machines including; rowing pull, lats pulldown, leg press, pec deck and bench press. We also have a number of free weights, weights and sit-up benches, a weights cage, treadmill and cycling machine. The clubhouse is a spacious two-storey building, downstairs is the Ergo room, men’s and women’s changing rooms, showers and toilets. Upstairs we have the club room and bar and from the club room you gain access to the balcony which overlooks the river and is a very sociable place to relax after a long day or tough training session. We have an air-conditioned Ergo room with twelve Concept II Ergos, six model D with PM4, three model C with PM2, two Model C with PM2+ and one Model C with PM3. Six machines are permanently set-up in the ergo room with an additional six in storage that can be used either in the boathouse or on the veranda outside the clubhouse. There is also a CD/MP3 player so you can train to your own choice of music.